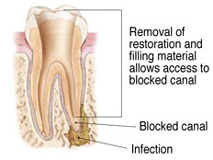 With proper care, most teeth that have had endodontic (root canal) treatment can last as long as other natural teeth. 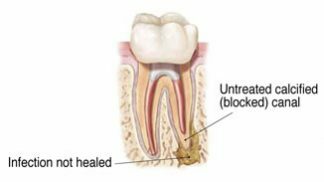 However, in some cases, a tooth that has received endodontic treatment fails to heal or has continued persistent pain. 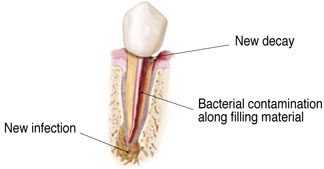 Occasionally, the tooth becomes painful or diseased months or even years after successful treatment. Retreatment is often a complex and specialized procedure that should only be performed by an endodontist. 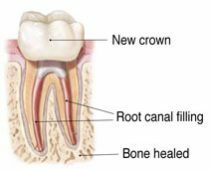 After discussing your treatment options, our plan begins with reopening the tooth to gain access to the old root canal filling material. In many cases, complex restorative materials – crown, post, and core material – must be disassembled and removed to permit access to the root canals. After cleaning the canal(s), the endodontist will fill and seal the canal(s) and place a temporary filling in the tooth.